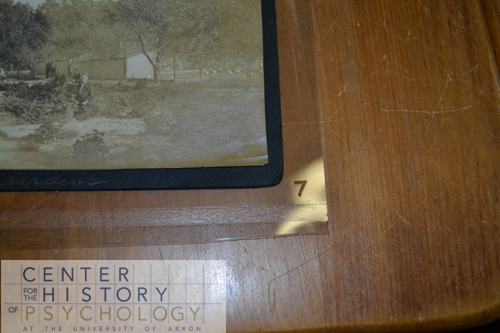 In this CHP blog posting, practicum student Allison Howell provides a lesson in archival encapsulation and gives an inside look at preserving a century-old scrapbook. According to Standing Conference on Archives and Museums, or SCAM (which, ironically, is fact-based), preservation is an “action taken to prevent damage [from] occurring”. Conservation, on the other hand, “aims to prevent [the] continuation of damage that has already occurred by halting the process with minimal intervention” (http://www.archivesandmuseums.org.uk/scam/infosheet3.htm) In the case of Edgar A. Doll’s scrapbook, I performed preservation (i.e. stabilizing the scrapbook by encapsulating it), not conservation (i.e. repairing tears, rebinding the volume, etc.). 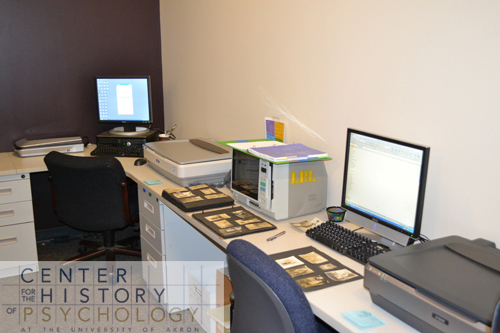 The first step in the preservation process is digitization. 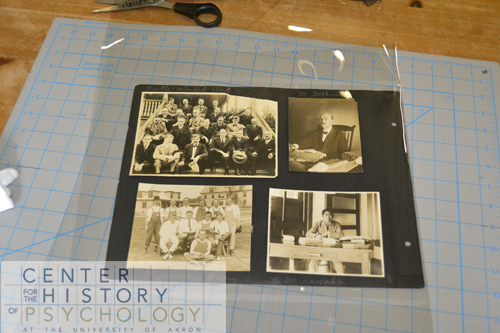 Although digitization does not do anything to prevent damage to the physical scrapbook, it provides CHP and its researchers with a record of how the scrapbook looksTODAY. This is especially helpful if a researcher requests the volume fifty years from now and finds that some of the photos have faded or have become damaged. If damage has occurred, the researcher will be able to access the digital records and see how the photos looked when they were digitized. When digitizing the Doll scrapbook, I used two computers and two scanners to digitize each page as both a JPG and a TIFF. 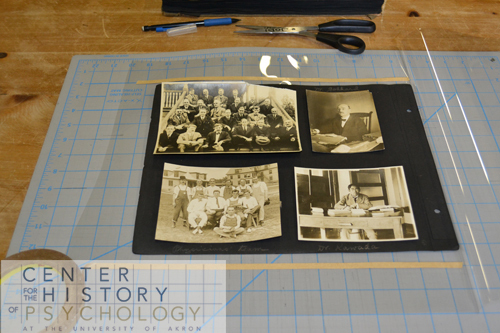 By splitting the digitization process, I was able to digitize the entire scrapbook fairly quickly. In order to keep the pages in their original sequence as I scanned, I wrote the page numbers down on post-it notes positioned in front of the scanners (see below). 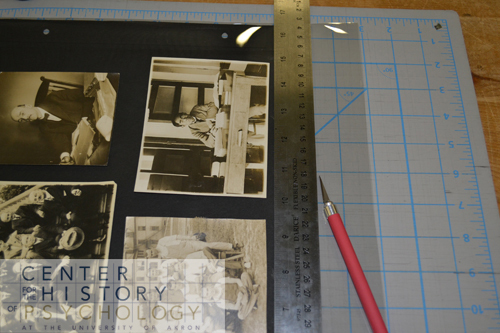 During the digitization process, I kept the scrapbook pages in three separate piles. The pile on the far left contained the pages that had been fully digitized, the pile in the middle contained the pages that were still waiting to be digitized, and, finally, the page on the right was in the process of having all of the names present on either of its sides entered into an Excel spreadsheet for later reference. 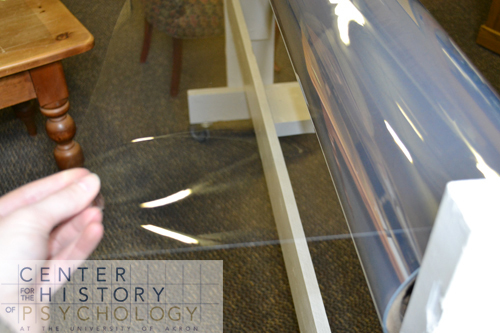 Mylar comes on an enormous roll, which allows it to be cut to any size. 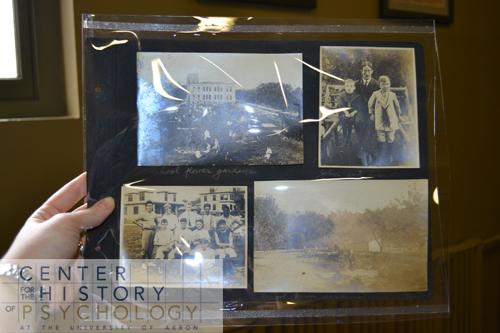 It is perfectly clear, allowing for the archival material inside to be easily seen. At CHP, mylar is cut to twice the width of the material. This way, only the top and bottom edges need closed. The right edge is a folded edge (see above) and the left remains open for air circulation and access. The folded edge needs pressed with a bone tool, which provides a crisp crease. Once the mylar has been folded, the archival material (or scrapbook page, in this case) should be tucked into the fold as much as possible. This helps to prevent the page from sliding around inside its mylar housing. After the archival material is secure in the fold, double-sided, archival-quality tape is used on both the upper and lower edge. As a general rule, the edge that remains un-taped (or open) should be one of the short edges. This allows for more stability of the archival material’s longer sides. Once the tape is in place and the backing has been removed, both sides of the encapsulation packet should be pressed together to secure the seal. In order to make the packet presentable and easier to store, the rough edges of the packet should be trimmed. 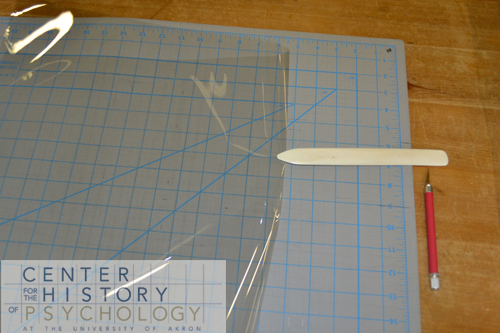 Taped edges should be cut at least ½ inch from the outside of the tape edge. 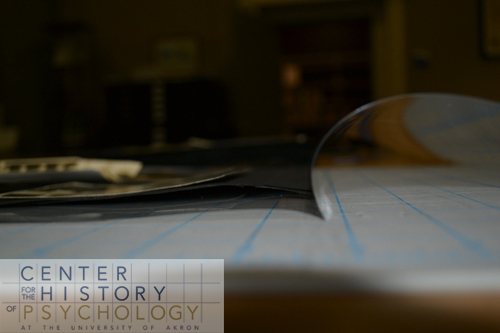 The open edge should be trimmed at least 1 inch from the archival material, and, of course, the folded edge should remain untouched. At this point, the packet is complete and is stable enough to be handled. Encapsulation projects involving numerous pages or sheets should be numbered to maintain their original order. 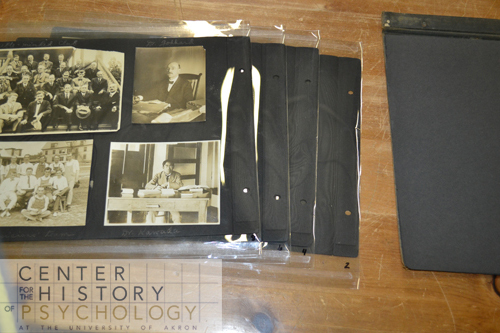 Page numbers should always be marked on the outside of the mylar, never on the inside or the archival material itself. In the case of the Doll scrapbook, 38 pages of photographs were encapsulated as well as the front and back covers, two loose images, and all of the blank scrapbook pages. Shown above are the first four pages in their encapsulation packets. Now that the scrapbook has been discovered, digitized, and encapsulated, what happens next? Stay tuned!